Are you listening? Are you really listening? As pharma becomes more and more ingrained in social media, it’s critical to know how and where to listen to the community that you are engaging with and to understand that this is an ongoing, individualized process. With so much discussion happening online, particularly within communities you might be building on Facebook, listening is the best way to mine insights straight from the horse’s mouth. Standard practices might not always resonate with the community you’re trying to reach, which is where effective listening comes into play from start to finish of creating an online community. Social media should be treated more like a telephone and less like a megaphone, meaning listening and adding value to help anchor conversations rather than solely pushing out messages. The most valuable information and resources you can offer to a patient community is simply providing them what they are asking for and understanding what’s meaningful to them. Understand the Current Online Landscape: Is there an unmet need? What are the challenges and concerns shared by the community? How can you address them? Take time to research what’s already out there and identify what type of voice you want to be. Don’t Work in A Vacuum: Sit down with advocates, patients and caregivers to co-create the content vision and direction; remember that they are the experts and they can help guide you. Strike a Balance: Particularly in the early days, be mindful of ways that you are engaging with the community. This is the best way to understand what types of content are resonating, when you should be posting, and how effective your targeting is. Find Opportunities for Offline Touchpoints: Are there easy ways to bring the community together outside of social media? Whether it’s a phone call, in-person event or a virtual meeting, provide opportunities for members of your community to build upon their online relationships. By enabling this valuable meet-up to happen, you can also be a part of it. Test, Learn, Repeat: Try to focus on one key insight to test for an extended period of time to help learn more about the audience and what they want from a community. But always remember learning is never done. As online behaviors and offerings shift and grow, so must your approach. The more that you listen – to conversations, interactions and reactions – the more you can build an authentic community that adds value to the patients you are trying to help. By creating a connection between you and your community, and treating your content accordingly, higher and authentic engagement will follow. Alyssa Kaden is a creative and analytical digital marketer with proven experience in helping growth and improving business performance with a data-driven approach and design thinking. Alyssa joined Syneos Health in 2014 as a digital and social media strategist just as the explosion in use within the healthcare industry was taking place. She serves as a digital lead for several client engagements, leading teams of designers, digital analysts and content writers to ensure projects exceed business and creative goals. 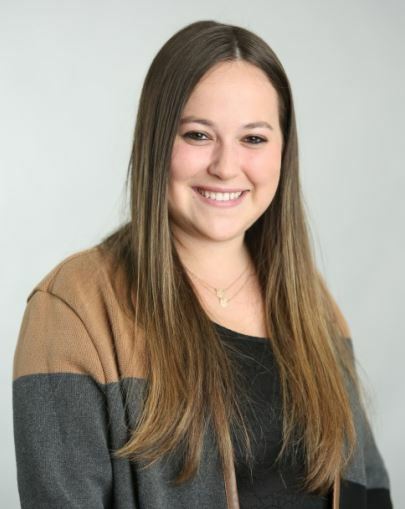 Alyssa has been at the forefront of work within the oncology, diabetes, mental health and rare disease space, and brings a detailed eye and strategic mindset to any fully integrated digital campaign. Alyssa graduated from Johns Hopkins University with a Bachelor’s Degree in International Studies.